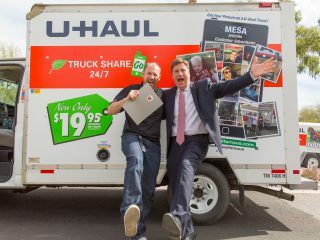 SCOTTSDALE, Ariz. — During his Spirit of Enterprise acceptance speech on behalf of U-Haul, Stuart Shoen summarized the Company’s noble mission and iconic story in a few succinct thoughts after detailing how his grandparents founded the operation 72 years ago. U-Haul captured the distinguished W.P. Carey School of Business Spirit of Enterprise Award for Special Achievement in Entrepreneurship on Thursday at Scottsdale’s Westin Kierland Resort. 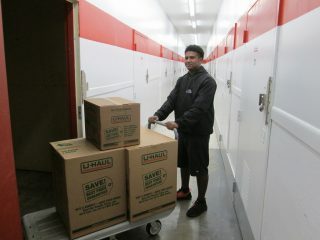 U-Haul was named a finalist in August. 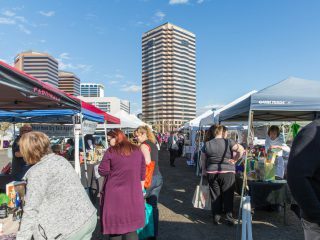 Fifteen Arizona-based companies were finalists across five categories, with one winner from each group. Shoen was part of a company profile video that ran during the luncheon. Filming took place at the U-Haul Technical Center. It also showcased many images from the early years when co-founders L.S. “Sam” Shoen and Anna Mary Carty Shoen were growing U-Haul. 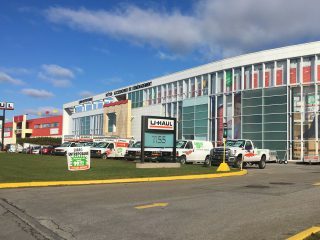 Today, U-Haul is the leader in DIY moving and self-storage with more than 21,000 locations across the U.S. and Canada. 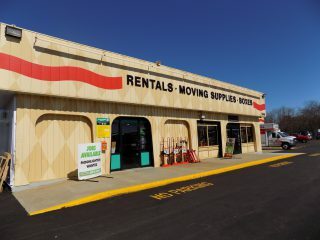 It has a fleet of more than 300,000 trucks, trailers and towing devices; boasts more than 581,000 rooms and 51 million feet of self-storage space; is the largest installer of permanent trailer hitches in the automotive aftermarket industry; and is the largest retailer of propane in the U.S.
That’s some kind of growth – and it all began with two entrepreneurial spirits. The designation for Special Achievement in Entrepreneurship stemmed, in part, from the recent introduction of U-Haul Truck Share 24/7. The self-service program brings a new level of customer convenience and security to the shared vehicle industry. It relies on a trained live verification team to vet customers over their internet-connect mobile devices in real time. 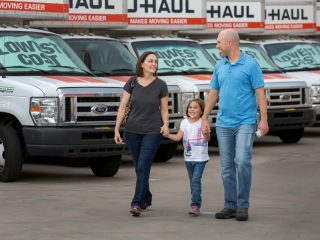 The proprietary system was developed in-house over nearly a decade, and enables customers to rent U-Haul trucks at any hour of any day once they have created a verified uhaul.com account. Shoen, in his closing remarks, addressed the students and young entrepreneurs in the crowd. He shared something that his father and U-Haul Chairman Joe Shoen recently reminded him: U-Haul is not the result of blacksmiths. It is the result of educated people. 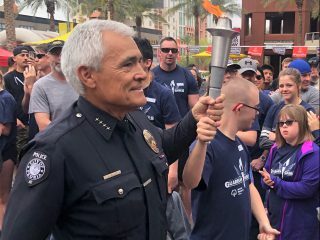 “ASU is an incredible university that is literally changing the face of higher education and preparing you for the life ahead,” Stuart Shoen said. 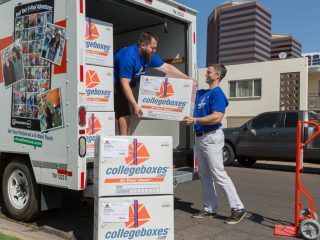 “So look around at all the companies here and, obviously, I hope you look at U-Haul, when you’re thinking about where you’re going to build a career. Did you know the Spirit of Enterprise award is the second major ASU honor to go to U-Haul in 2017? 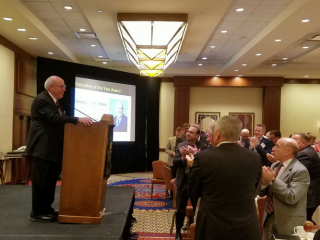 U-Haul Chairman Joe Shoen was also named Executive of the Year in April. Read more about that award.